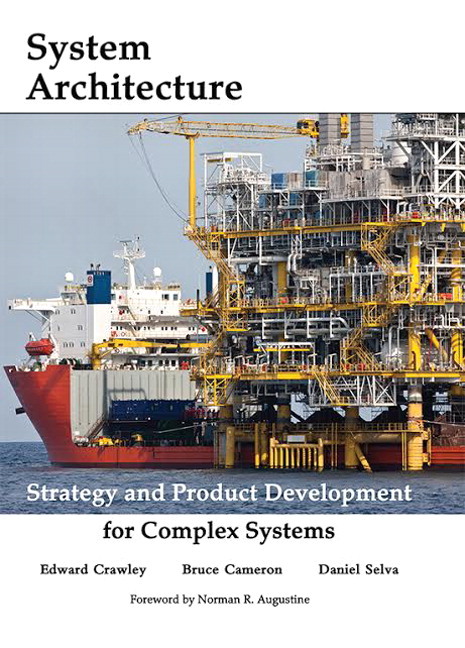 System Architecture: Strategy and Product Development for Complex Systems is a comprehensive text that brings new focus to the emerging discipline of systems architecture. Bridging engineering and management, this text contains a number of features to accelerate learning in the classroom and in the professional world. Case studies are included that apply system architecture to disciplines ranging from hybrid cars to commercial aircraft. Contributors include Norm Augustine, former CEO of Lockheed Martin, Dr. Victor Tang, former special advisor to the CEO of IBM, and Dr. Willard Simmons, CTO of DataXu, the leading demand-side platform for online advertising. This text builds from foundational examples, such as pumps, circuits, and sorting algorithms, to complex systems in networking and hybrid cars. These examples are built on the development experience of the authors in communications, transportation, mobile advertising, finance, robotics, and medical devices, ranging in complexity from farm equipment to the International Space Station. Summaries of chapter contributions presented in Methods Boxes. Edward F. Crawley is the President of the Skolkovo Institute of Science and Technology (Skoltech) in Moscow, Russia, and a Professor of Aeronautics and Astronautics and Engineering Systems at MIT. He is the founder of ACX, BioScale, DataXu, and Ekotrope, and a member four national academies of engineering. Bruce G. Cameron is the founder of Technology Strategy Partners (TSP), a consulting firm, and the Director of the System Architecture Lab at MIT. He has worked with 60 Fortune 500 firms across aerospace, high tech, and consumer goods, and has built hardware currently on orbit. Daniel Selva is a Professor of Mechanical and Aerospace Engineering at Cornell. He has pioneered the use of machine learning tools in system architecture analysis, and is the recipient of Best Paper and Hottest Article awards for his work with NASA.